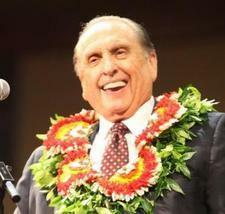 Newsweek recently highlighted President Monson's life and ministry after the Church's announcement the prophet would be absent from the upcoming general conference because of limitations due to his age. The Church of Jesus Christ of Latter-day Saints (LDS) will hold its biannual general conference this weekend, a major Mormon event that is broadcast in 90 languages. But perhaps the most important Mormon in the world won’t be there. Thomas Monson, the president of the LDS church and leader of the world’s 15.9 million Mormons, will not attend the meeting in Salt Lake City, church officials confirmed on Thursday, the LDS-owned Deseret News reported.